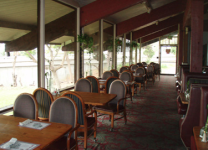 With over 25 years of experience, The Golden China Restaurant in Ventura,CA, takes pride in the Superb food, Full bar, and Karaoke offered every night! Not only do we have the #1 voted best Chinese food in Ventura County, and the #1 voted best Karaoke show in Ventura County, but we also offer daily Lunch Buffets, Sunday Champagne Brunches, Delivery Services, Catering, Food to go, and have a Banquet Facility available upon request. Come join us everyday from 4pm-7pm for Happy hour in our bar area, and enjoy drinks with free hors d’oeuvres.